What did the Vikings eat and drink? Let’s find out! The main Viking alcoholic beverages were mead and beer. Like all meads, Viking mead was made from honey. The beer was ale made from barley, with hops sometimes being added for flavor. The only other alcoholic beverage the Vikings made themselves was fruit wine, which came from the various fruits that grew in their homelands. Since the Vikings hadn’t learned how to distill liquor, these fruit wines were their strongest locally-produced drinks. True wine (that is, wine made from grapes) came from abroad, largely from the Rhineland, and was an expensive luxury that only the wealthy could afford. Beer and mead were commonly served in drinking horns made from cattle. Since a drinking horn can’t be put down while there’s still drink inside it, its contents had to be drained rather quickly or else passed around a table. When the Vikings wanted to set down their drinks and sip from them here and there over the course of a meal, they used wooden cups rather than drinking horns. True wine from the south was served in more refined vessels – often imported pottery jugs or glass cups, or locally-manufactured silver bowls. Since different parts of the Norse world offered different sources of food, both wild and domestic, the Vikings’ diet varied from one place to another. What follows is therefore necessarily a broad overview, and some of the details or emphases may have been different in particular places and times. It was customary for the Vikings to eat two meals per day, one in the morning and one in the evening. They most commonly ate with their fingers from flat wooden trenchers, but foods that had to be served in bowls, such as soups, stews, and porridge, were eaten from wooden bowls with spoons carved from wood or antler. The most widely cultivated grain was six-row barley, the hulled form of which was the most common ingredient in bread. This barley bread was usually unleavened, and such bread becomes rock-hard once it cools down, so it has to be eaten immediately after it’s taken out of the oven. The Vikings therefore would have had to bake it right before meals. Bread was sometimes made in buns whose diameters were around five centimeters, and at other times it was made into loaves of something like eighteen centimeters in diameter. These buns or loaves were quite thin – typically only half to one and a half centimeters thick. Other grains and plants were sometimes mixed in with the barley in the bread: rye, spelt, oats, flax, peas, or ground pine bark. The latter is an excellent source of vitamin C, which would have helped the Vikings to ward off scurvy. Sometimes blood was added to the bread to make black pudding. Wheat was also grown to some extent in Scandinavia, but it was uncommon enough that bread made from wheat seems to have been a luxury for the rich. Another staple of the Vikings’ diet was dairy products made from the milk of cows, sheep, and goats. Fish was yet another. Cod and herring were the most commonly eaten fish. Herring was usually preserved by salting, and cod was preserved by drying. Other aquatic species the Vikings ate included freshwater fish such as salmon, perch, and pike, and shellfish such as shrimp, mussels, and oysters. Most meat came from domestic animals: cows, pigs, sheep, goats, horses, chickens, and geese. Farm animals who were killed for their meat were most often slaughtered in the fall so that the household wouldn’t have to expend resources on maintaining them over the winter. Other meat came from hunting. Seabirds, seals, whales, hares, rabbits, wild boar, elk, and deer were commonly hunted animals. Seal meat and whale meat were considered delicacies, and seal oil was sometimes used as a substitute for butter. The cauldrons in which meat was boiled were suspended over a fire from a tripod or from a chain tied to a beam of the roof. Meat was also roasted on spits or baked in a pit filled with hot stones. Meat was preserved by pickling it with whey or brine, or it was salted, smoked, or dried. Fruits and vegetables were, of course, important for the Vikings’ nutrition. The Vikings grew vegetables, the most common of which were probably cabbage, onions, peas, beans, endives, and beets. Fruits, such as pears, cherries, plums, blueberries, cloudberries, raspberries, blackberries, and strawberries, were gathered from the wild. Fruits were eaten raw or dried. Hazelnuts seem to have been the only edible wild nut that the Vikings collected from their own territories. The Vikings seasoned their food with salt, herbs, and spices. Spices that could be produced locally included cumin, mustard, horseradish, parsley, dill, cress, mint, marjoram, thyme, angelica, and wild garlic. Others were imported. Honey was the typical sweetener. To get salt, the Vikings boiled saltwater and collected the crystals that were left when the water had evaporated. 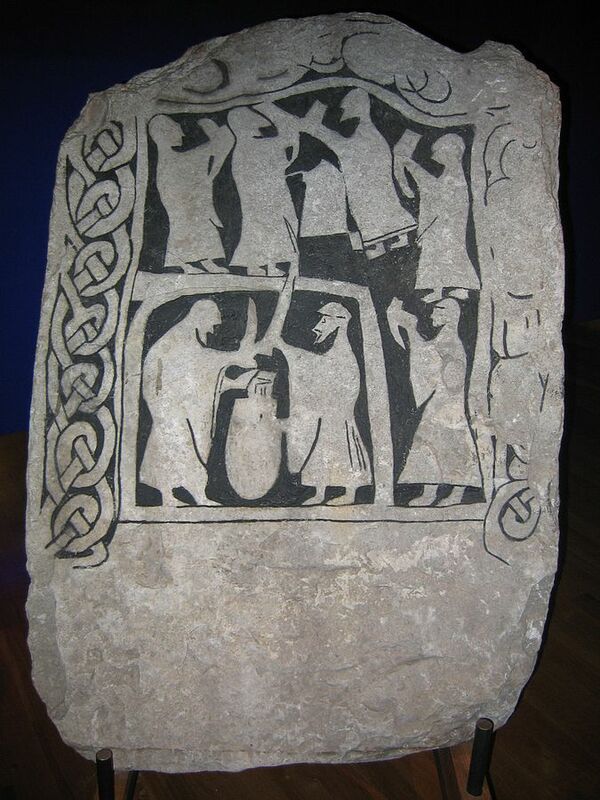 Want to learn more about Viking food and drink, and the Vikings in general? My list of The 10 Best Books on the Vikings will surely prove helpful to you. Graham-Campbell, James. 2013. The Viking World. p. 113. Wolf, Kirsten. 2004. Viking Age: Everyday Life During the Extraordinary Era of the Norsemen. p. 108. Graham-Campbell, James. 2013. The Viking World. 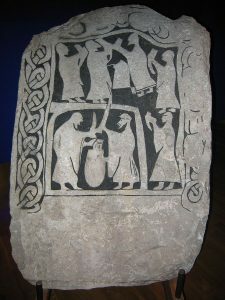 p. 113-114. Wolf, Kirsten. 2004. Viking Age: Everyday Life During the Extraordinary Era of the Norsemen. p. 106. Winroth, Anders. 2014. The Age of the Vikings. p. 168-169. Graham-Campbell, James. 2013. The Viking World. p. 112.